Selling your home can be one of the most stressful times in a person’s life. 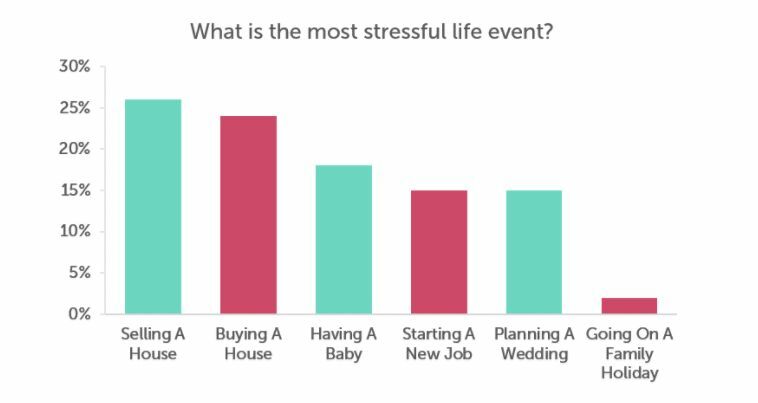 And that’s backed by fact, according to a Vivo Property Brother survey, where they found that selling a house is more stressful than planning a wedding. The shorter we can endure that amount of stress, the better. Who doesn’t want to sell their home as quickly as possible? One of the most inexpensive things you can do, besides de-cluttering, is pressure washing your home for a better curb appeal. Not only will it help your home sell faster, pressure washing has been known to also improve home value between 5% and 10%. If you’re house is on the market for $250,000, on the low end you could be seeing an increase in value by $12,500. A small investment can make a big difference to the value of your home. Which areas should you have cleaned? No matter what area of Marion County you live in, Ocala, Dunnellon or The Villages, each location has its own weather, landscape and water problems that cause your home to become dirty. We recommend that you use a professional to pressure washer when selling your home, to get the best value. Below are areas to concentrate on, and what to look out for to get the most out of pressure washing. Some businesses claim they are professionals, but pressure washing is a side business for them; an add on to other services. This can be damaging to your home and its roof. Your shingles have what’s called roof sand, that has heat deflective properties. If you use high pressure on a roof, it could remove the roof sand, and not work the way it was intended. At License to Wash, pressure washing is our only business. We soft wash the roof with a special roof cleaning chemical, to protect your roof and have it looking like new. Cleaning Gutters is a dirty job, that no one really wants to do. Especially when you’re dealing with the stress of selling your home. Over time, gutters clog with leave, moss, and other debris that fall from your roof into them. 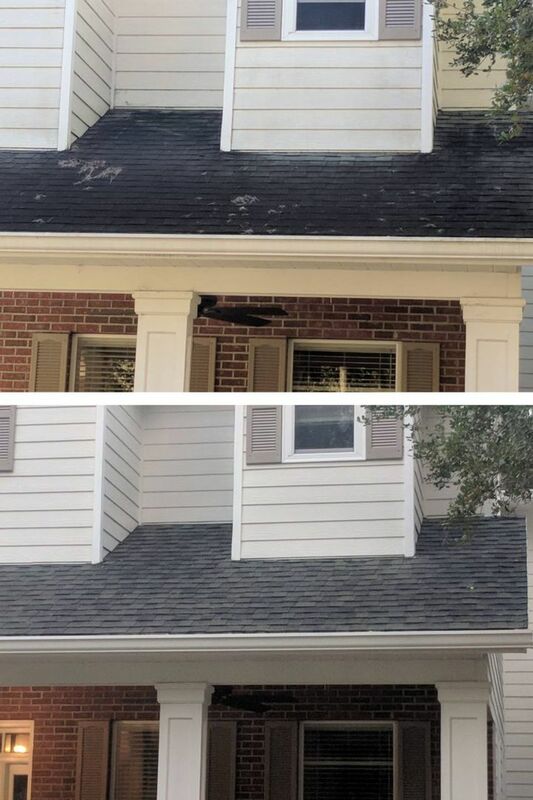 You can slow this process with gutter covers, but over time, you’ll still have a dirty clogged problem. A problem that you don’t want to leave up to the buyer, or you’ll be missing out on that extra improved home value. 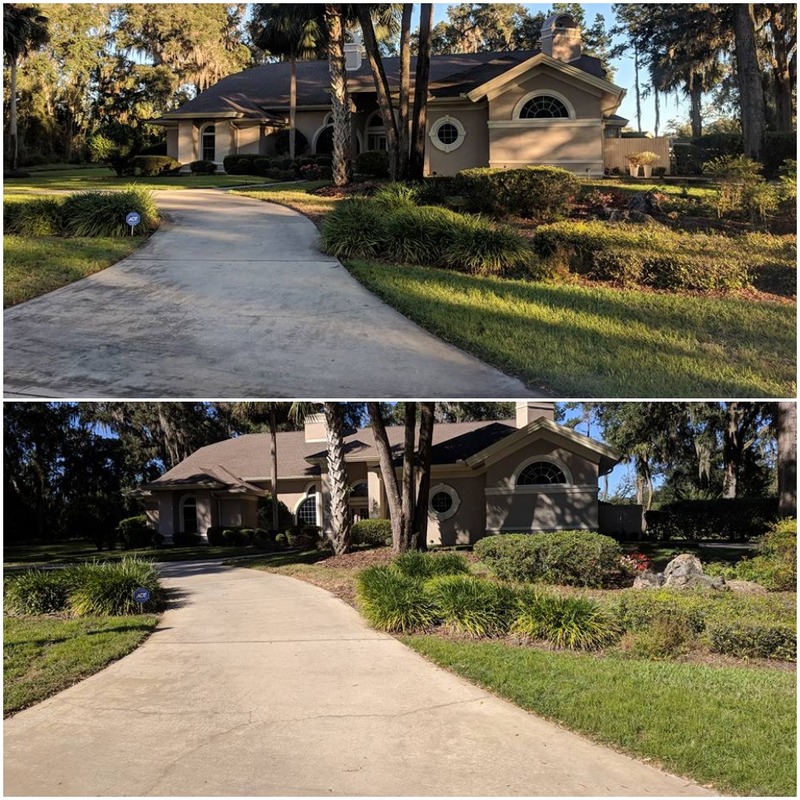 Due to the constant humidity and rain in Florida, our driveways and sidewalks can develop a film of algae over top. This can make the driveway or sidewalk slippery, and dangerous to walk on. You would think a good high pressure will do the job just right, but that’s not the case with concrete. Using too much pressure can damage the dirty driveway, and that won’t help sell your home. The exterior of your home is probably where a buy’s eye goes to first. 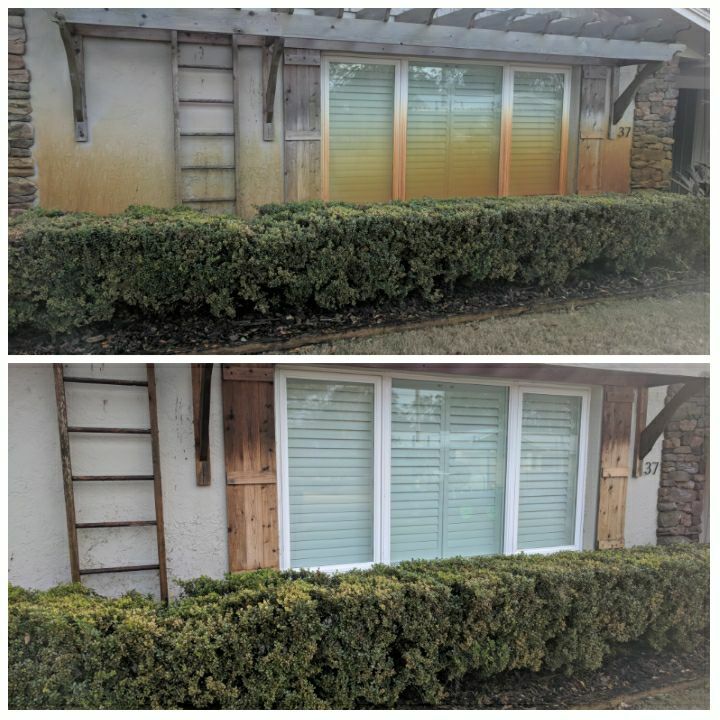 If you’ve got orange rust stains from your sprinklers or green algae build up on the outside of your home, it’ll take a lot longer to sell, and probably for less money. There are different ways to pressure wash the exterior of the house, depending on the materials it’s made of. If you’ve got stucco, the nozzle needs to be a specific distance, as not to cause damage. While vinyl siding needs to be sprayed at a specific angle, so that water doesn’t get stuck behind the siding. At License To Wash, we are Ocala’s premier pressure washer. We have the tools and the know-how, to get the job done right the first time. If you’re trying to sell your home, we recommend you call a professional pressure washer to help improve the value of your home for the sale.